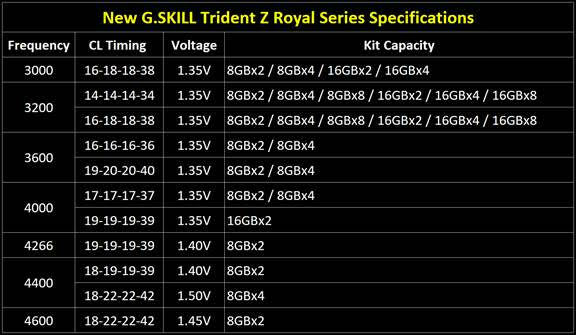 Adding to their long list of memory modules, G.Skill has announced a new set of memory dubbed the Royal Series. The royal series, as its name implies, features a “crown jewel” design. Where there used to be simple frosted plastic to let the RGB LEDs shine through, now uses a crystalline light bar scattering the RGB colors in different directions, The kits start from DDR4-3000 and will run up to a smoking fast DDR4-4600 with capacities ranging from 16 GB to 128 GB. Along with the new look of the RGB diffuser, the RGB module was updated and is now designed with eight individually controllable lighting zones said to allow for smoother color transitions G.SKill says will provide an “…even more stunning lighting experience for your build”. Controlling the RGB LEDs will be new lighting control software that will be available for download at the G.SKill website. 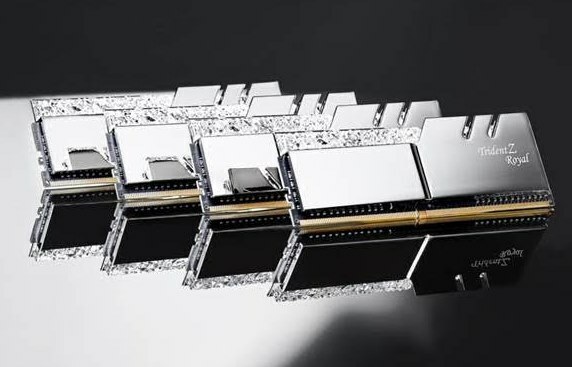 The new sticks are engineered on a newly designed custom PCB in order to accommodate the increase in lighting zones. 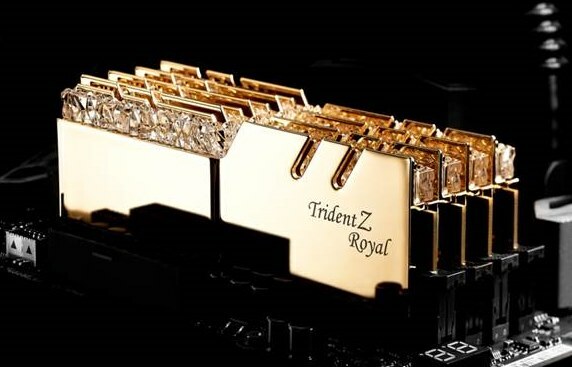 Externally, the heatsinks were also redesigned and use polished aluminum heat spreaders in gold or silver colors and still use the classic Trident Z tri-fin design. Each kit will also include a piece of microfiber cloth to wipe the dust and fingerprints away. i guess if your rockin a wced rig with chrome or gold fittings or better yet some of that silver/gold hard tubing this stuff would look really sweet. Looks like an equivalent to Corsair Dominator Platinums. Cool. Keep an eye out on the front page!